Business Chemistry: What Type Are You? THE BETTER YOU UNDERSTAND yourself and those around you, the easier it is to work with other and as a leader, to give them what they need to excel. Business Chemistry is a tool for self-understanding and empathy—a way to identify meaningful differences between people’s working styles and perspectives. Kim Christfort and Suzanne Vickberg of Deloitte helped to develop Business Chemistry. It does not invalidate everything else of its type, rather it is designed to be simpler and thereby memorable and actionable on issues that really matter for people in the work environment. And it is quite straightforward for both accessing yourself and others you work with. Pioneers value possibilities and they spark energy and imagination. They’re outgoing, spontaneous, and adaptable. They’re creative thinkers who believe big risks can bring great things. Drivers value challenge and they generate momentum. They’re technical, quantitative, and logical. They’re direct in their approach to people and problems. Integrators value connection and they draw teams together. They’re empathic, diplomatic, and relationship oriented. They’re attuned to nuance, seeing shades of grey rather than black and white. Guardians value stability and they bring order and rigor. They’re practical, detail-oriented, and reserved. They’re deliberate decision-makers apt to stick with the status quo. The authors naturally go into detail on each of these types and give an example of a well-known person that fits that type. They also delve into difference between the types as they relate to stress (Pioneers are the least stressed. ), career aspirations, environments they thrive in, and where each type if found organizationally and generationally. For example, too many constraints can completely shut a Pioneer down, while a Guardian may withdraw in an environment that feels too chaotic. A Driver may become very frustrated in an organization that lacks decisiveness, while an Integrator may wither on a team that doesn’t value broad-based input. Knowing these trigger points can help you as a leader to give people more of what they need to excel and less of what will turn them off. To understand your own style and develop your hunch about others you know, they’ve developed a test which you can take here. If you’re going to try it out for yourself, you might think about what you are naturally inclined to do and what you have learned to do. I might want to be direct with others but I have learned that I am more productive when I am diplomatic. But being that that is my natural tendency, I probably prefer when people are direct and concise with me. That fact would affect my working style profile. Interestingly, 32% of Millennials are most likely Guardians. They prefer having all of the answers and enjoy zooming into every detail. 29% of Baby Boomers are most likely to be Pioneers or Integrators. They grew up in a different time and may have adopted a more novelty-seeking and relationship–focused orientation. 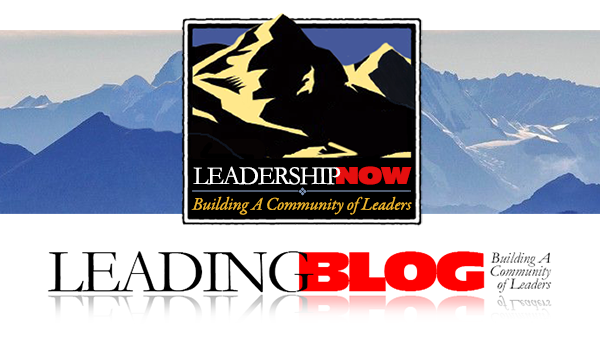 Since 1980, Michael McKinney has been the president of LeadershipNow to encourage you to develop the leader in you — to become an active participant in shaping your future and the future of others. In 1980 he also founded M2 Communications as a way to manufacture and develop tools to improve your performance and enjoyment of life through the use of educational web sites, articles and multimedia presentations. He is also the publisher of Foundations Magazine—a personal development e-zine—and is the president of the CenturyOne Foundation—a non-profit organization that promotes biblical archaeology, historical and biblical research, lectures and publications on subjects pertaining to the time of the first century C.E./A.D.